Gary Frost is hoping to bolster his Boston Town squad before Saturday’s trip to Harborough Town. 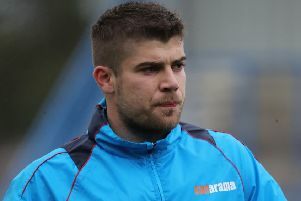 The Poachers boss is in talks with two players he hopes will agree to join his side as they look to climb the United Counties League Premier Division table. Although Frost was refusing to name names, he did state that one target is a midfielder with Central Midlands League experience. The other is a defender who is well known in UCL circles. “We’re still talking at the minute, but hopefully we will have one or maybe two in by the end of the week,” Frost said. Saturday’s match at fourth-placed Harborough will kick off at 3pm.